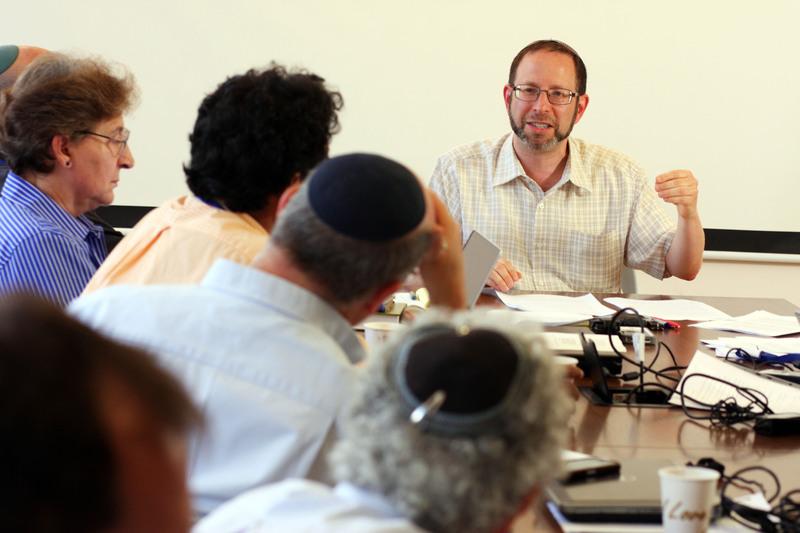 Recent scholarship has revealed that Maimonides drew upon Muslim jurisprudence (uṣūl al-fiqh) to develop his bold halakhic hermeneutical model that integrates Bible exegesis and talmudic halakhah. Given its sophistication, it is not unreasonable to conjecture that precedents for Maimonides’ hermeneutical system had been circulating among earlier Andalusian Jewish scholars who adapted Muslim terms and concepts to describe the halakhic process. To date, brief discussions of this nature have been identified in the writings of Bahya Ibn Paquda, Judah ha-Levi and, most recently, in the newly discovered fragmentary writings of the eleventh-century Granada dayyan David ben Saadia ha-Ger. Dr. Cohen’s presentation highlighted some relevant remarks by the poet and literary critic Moses Ibn Ezra (born c. 1055, also in Granada). In his Poetics, The Book of Discussion and Conversation, Ibn Ezra compares the intellectual creativity of prophets and legal scholars. While the prophets employ their ingenuity to render God’s message in the most excellent poetic and rhetorical format, the legal scholars actually augment the Law by extrapolating new conclusions from what is stated explicitly in scripture—a concept he describes in terms borrowed from Muslim jurisprudence. This paper explored the unique literary perspective on this subject brought to bear by Moses Ibn Ezra by contrast with the legal-philosophical vantage point of Maimonides and his halakhically-oriented Andalusian predecessors. The primary sources examined by Dr. Cohen are available in PDF. Photo Credits: Judah S. Harris.